Four more days till the political landscape of the largest Scandinavian nation is set to be rocked by an earthquake, because if polls are correct then the rightwing anti-immigration anti-Europe Sweden Democrats could take nearly 20% of the vote. If the Swedes are anything like the rest of their fellow Europeans, that percentage could even be higher as there is a tendency in Europe not to admit you will be voting for what the mainstream media calls the far-right. Related coverage: <a href="https://thegoldwater.com/news/35898-Sweden-Elections-Immigration-Is-A-Threat-To-Society-Cost-Is-Harming-Sweden-s-Welfare-State">Immigration is a threato to society and the cost is harming Sweden’s welfare state</a>. Although the Swedish calm won’t be broken and the country will continue to grow economically, many young Swedes explain that they are voting for the rightwing party because the country they grew up in as a child, is not the one they are becoming an adult in anymore. 18-year-old Miss Sandra Sundstrom explains her vote for the Sweden Democrats: "They have the most things that are right for me… they're for Swedes." "Many parties want to take in more people from other lands," complains Sandra, who is unemployed at the moment "but the Swedish people can't have the work they really want." Although Sweden has a low unemployment figure at 6% on par with the rest of the developed economies of Europe, some 17% of the immigration population is not working and many of those voting for the Sweden Democrats claim that the strain the ‘newcomers’ have put on the ‘social benefits system’ is simply unfair. 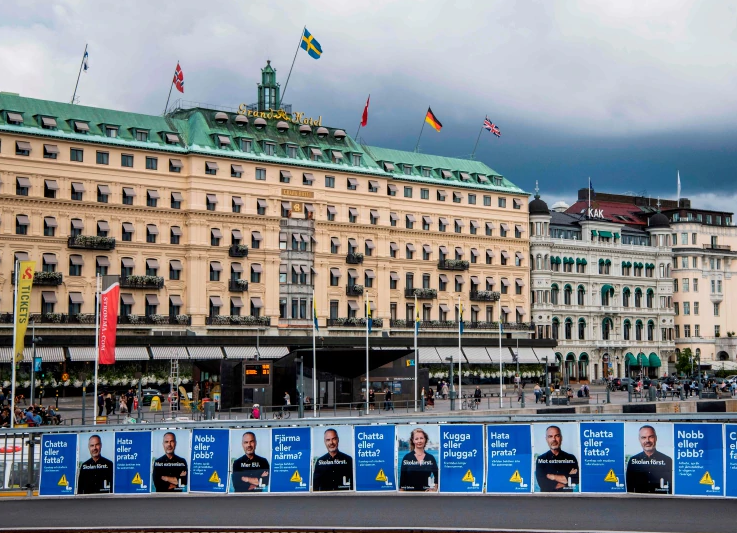 The mood hardened as the crime rate spiked in the last few months and seeing the success of the Sweden Democrats in the polls, all other parties started to shift to the right themselves as the election date nears.